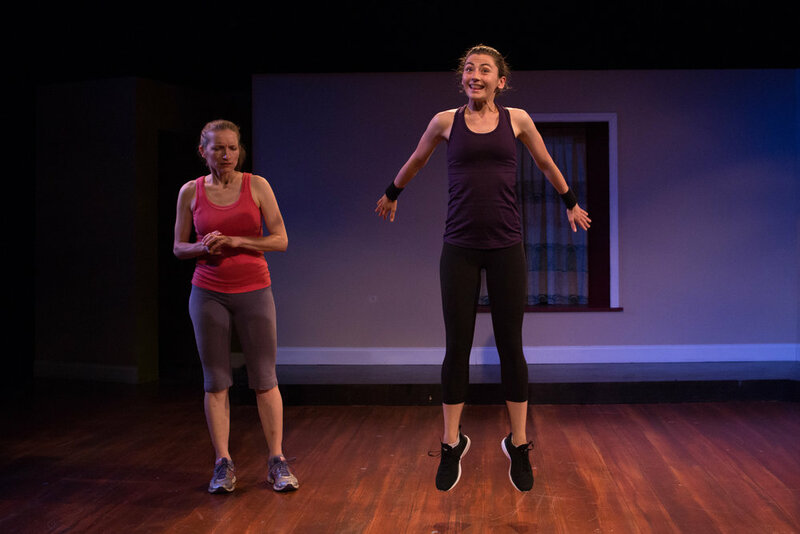 Read review of the Covert Catalyst group of 10-Minute Plays in DC Theatre Scene. Two women explore just what it takes keep their spirits high in challenging times. Six people grapple with taking chances and making changes while riding a roller coaster. Two teammates confront what lies ahead for them on and off the field. A conspiracy theorist and her daughter wait for the arrival of the woman's son, a wounded army veteran, who brings home a surprise. The Emperor is determined to face an insurrection au naturale, and it's up to his wife and adviser to get him under control before he ruins everything. 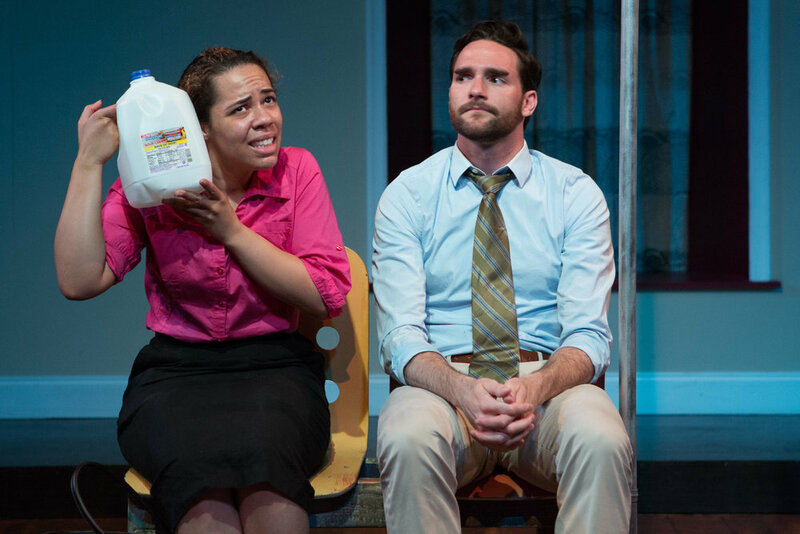 Read reviews of the Best-of 10-Minute Plays in DCMetroTheaterArts and DC Theatre Scene. A strange man under the table. A meal delivery gone wrong. Gentrification to the extreme. Kevin and Karen are vexed by their child and their parents through their baby monitor as they try to teach their infant daughter to soothe herself. When two forces of nature collide, who will be left standing? Two lonely souls find deceit, Mongolian barbecue, and ballet on an online dating site. On the cusp of discovering the key to time travel, Jake and Dagney are confronted with their future selves. In a 1950’s Georgetown duplex, Bob and Millie live next door to Norma and Jim, in what appears to be a perfect arrangement. The twist is that all four are gay and have cultivated fake identities outside of their homes, in order to live truthfully inside. The cultural shift of the 1950s brings about a moment of change when their carefully crafted falsehood is thrown into chaos. 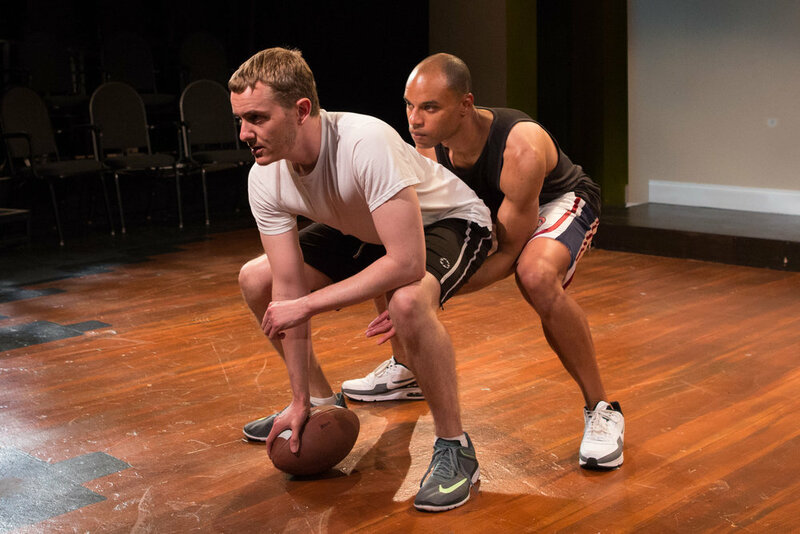 Topher Payne’s play (based on the historical events of The Lavender Scare) explores this shifting landscape with humor, energy, farce and surprising honesty. 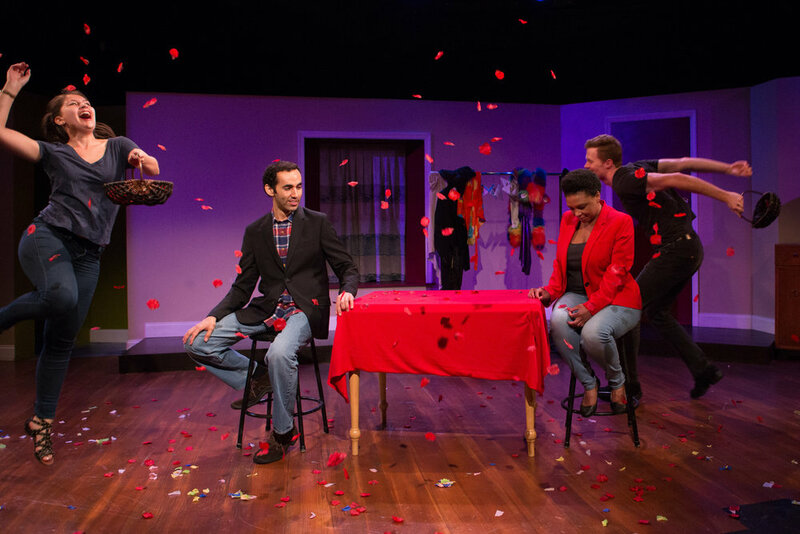 Read reviews of PERFECT ARRANGEMENT in The Washington Post and DCMetroTheaterArts. When the smallest morsels of life inspire endless space for transformation, no object or experience can be considered mundane. Through a journey of words, music, and images, audiences and artists come together for a responsive performance event that looks beyond the surface and into the unseen. Dive in as we explore tensions between the known and the unknown, our willingness to be transformed, and the messy, powerful, resonant layers of meaning too often overlooked. Read review of EXQUISITE DEPTHS in DCMetroTheaterArts. Through movement, music, and innovative storytelling, three interdisciplinary artists use action and reveries to investigate human revelation, and what it means to stand at the precipice of a shift in one's own point of view. These three plays for the 2017 Festival were selected from more than 140 scripts submitted to the Festival by invitation. Two lonely puppeteers meet inside of a monstrous two-person puppet on a film set, and must find a way to connect and bring the character to life over four days of shooting. Annie Jump is a teenage science genius living in a small town who meets an intergalactic supercomputer, here to help Annie take humanity from the earth to the stars. Zenab is a young artist, haunted by the ghost of Vincent van Gogh, who sets out to paint the 2005 race riots in Paris despite her lover's protests.